FAR-RIGHT PLAN TO HIJACK REFUGEE DEMO IN AMBER RUDD’S SEAT! On Saturday 22nd October Hastings Supports Refugees are holding a food donation day in support of refugees in Calais and the local Hastings Food Bank. A tiny neo-Nazi group from Portsmouth called South Coast Resistance (also known as “Pie and Mash”) have said they are coming to Hastings on that day to demonstrate against refugees. 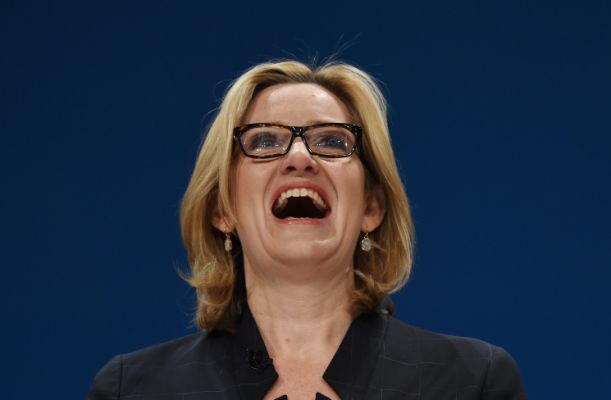 Hastings is in the parliamentary seat of Home Secretary Amber Rudd, who has been caught up in a backlash against her, after she announced, at the Conservative party conference, that all businesses in the UK would have make a list of all foreign employees. Amber Rudd has now backtracked on the idea, after it was compared to Nazi party policies. This is why Saturday has become such a symbolic day for many, to show they reject the politics of hate and this is not how we want Post-Brexit Britain to be. Local group Hastings Solidarity and Hastings Momentum have put a URGENT CALL-OUT. 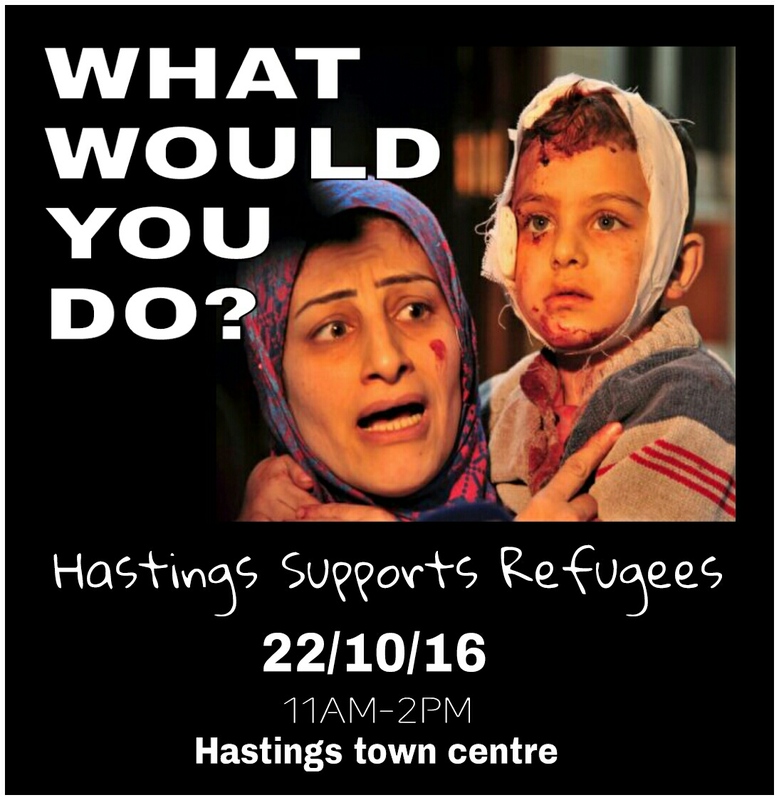 Hastings solidarity statement said: ‘Come down to Hastings town centre near Debenhams this Saturday to show the world what solidarity looks like. Please share this call out as widely as possible – bring friends, family, comrades, neighbours, workmates. We need to have as many people out as possible. Join us in solidarity with our brothers and sisters who come here from across the sea as refugees fleeing war and terror – and with our friends and family here in our community who are suffering the effects of the government’s class war austerity measures, declining wages and homelessness. Bring flags, banners, signs and food to donate. Come and stand with us and show some Hastings hospitality!